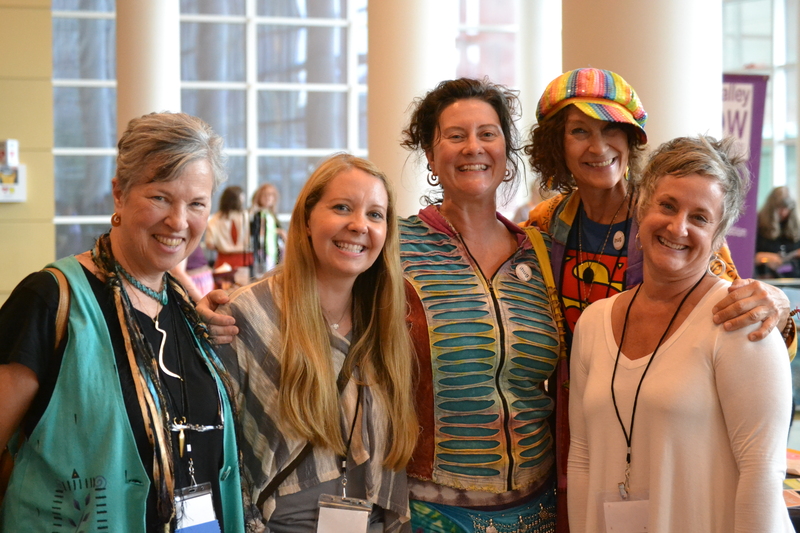 Greetings from the Women & Spirituality Conference! Our purpose is to bring together people of diverse spiritual traditions and to create an atmosphere where ideas about traditions and spiritual growth can be shared. Participation of all people from diverse cultural, spiritual, racial, and ethnic backgrounds is encouraged. We do not advocate or exclude any view, nor do we permit proselytizing. Respect for each other’s views is essential for the success of the conference. The Women and Spirituality Conference is a chemical free event with no smoking allowed at the Mayo Civic Center. Please utilize the smoking areas outside the facility. We are not responsible for lost or damaged property. There will be a lost and found site at the registration table. Conference participants should plan to bring pens, paper, art pads, drums, tarot cards, and other materials that might be used in workshops. Because of restrictions and codes enforced by the facility and out of concern for those who are scent-sensitive, we cannot allow lighting of candles or sage or use of incense on conference grounds. We try to make the conference accessible to all who wish to participate; therefore, we ask that you refrain from the use of perfumes, colognes and other scents at the conference. People come to the Women and Spirituality Conference for a variety of sometimes deeply personal reasons. Once here, they experience spiritual awakenings, healing and deep connections to community. We ask that you practice tolerance, patience, kindness and love toward other participants, exhibitors and volunteers. Exhibitors and volunteers are here to make your experience positive and are truly doing the best that they can. Please direct kind words and actions toward them. Past keynote speakers have included: Jeanne Audrey Powers and Alla Bozarth-Campbell, Rita Gross, Maureen Fielder, Rosemary Radford Ruether, Charlotte Black Elk, Valerie Russell, Judith Plaskow, Carter Heyward, Luisah Teish, Neala Schleuning, Carol Ann Russell and Rachel Tilsen, Jean Shinoda Bolen, Karen Warren, Kate Rushin, Mary Daly, Barbara G. Walker, Sister Paula Gonzalez, Leslie Feinberg, Mary Hayes-Grieco, Carol P. Christ, Charlene Spretnak, Vinie Burrows, Shakti Gawain, Marge Piercy, Riane Eisler, Vandana Shiva, Winona LaDuke, Andrea Smith, Starhawk, Layli Maparyan, Becca Stevens, Juana Bordas and Donna Mejia.